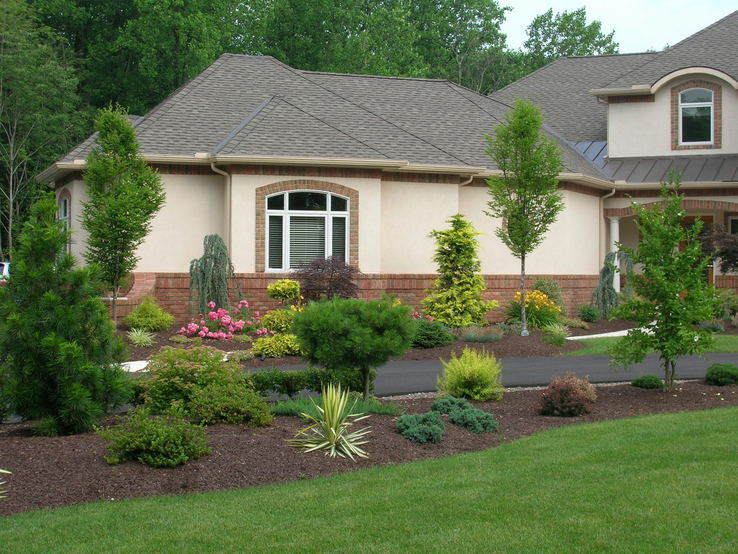 Multiple mulch-based beds filled with beautiful shrubery! 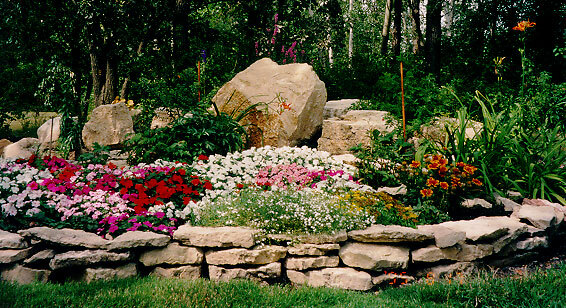 Short retaining walls create any size flower bed that really stands out! 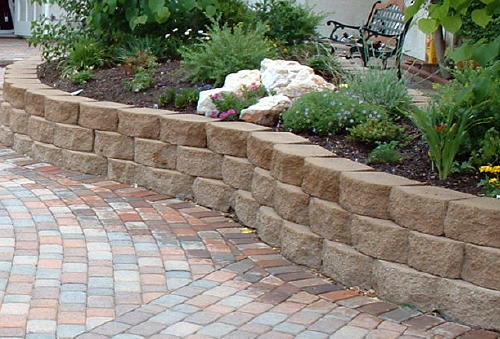 The large boulders and small retaining wall give a flat landscape defintion and texture. 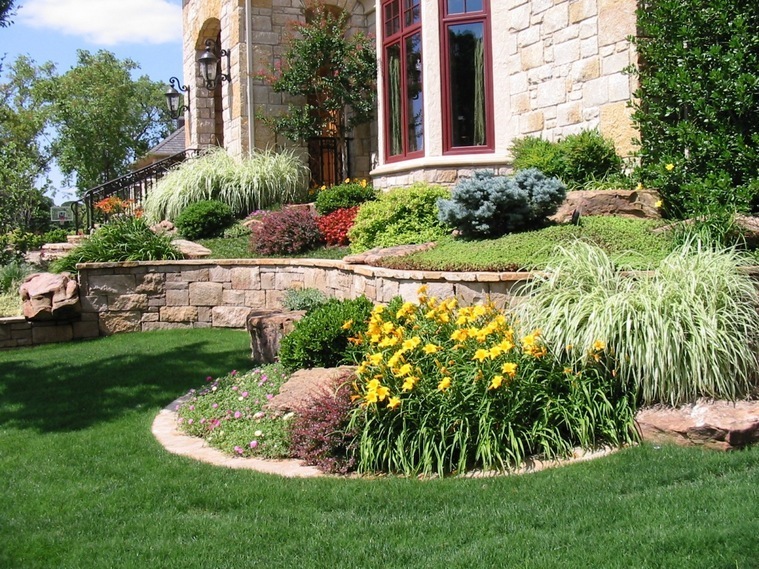 Luscious landscape design that compliments and emphasizes this raised home. 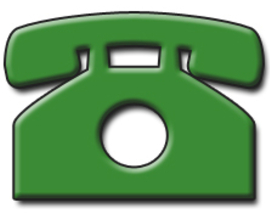 See more photos of the different phases of certain projects on our Facebook page!